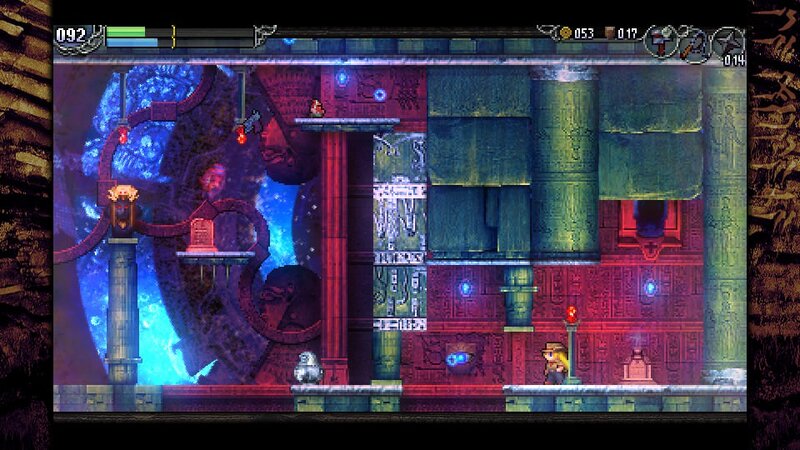 A Kickstarted sequel to a cult game, does La Mulana 2 live up to its predecessor? You may or may not have heard about La Mulana before. It was a freeware project meant to look like a game from the MSX, a home computer that was a precursor to the NES in many ways. A nostalgia project like that, even back in 2005, may not have been particularly notable, but where La Mulana was memorablee was in how unique a game it was. Putting players in the role of an archeologist exploring the titular ruins, it really made folks feel like a person trying an impossible task, with fiendish puzzles, difficult bosses and open-ended gameplay you could get totally lost in. It proved popular enough to get a remake with more modern graphics, which was officially localized and appeared on Steam. This paid release in turn was successful enough that a Kickstarter campaign appeared for a sequel a few years back, and finally it was released at the end of July. During the development process nothing was really announced about it to avoid spoiling the game, so basically everyone went in blind. The question is, does the game live up to the first game’s reputation? I’d assume if you’re reading this review you’ve already played the first one, maybe beaten it, or at least know about the game. 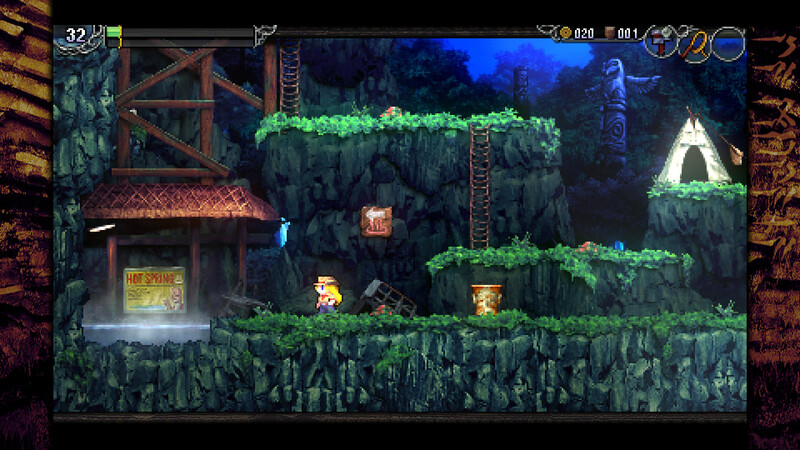 If not, La Mulana and its sequel are metroidvania games that focus on puzzles and exploration over combat. Not that there are no enemies to fight, but they’re usually inconsequential with the exception of some particularly irritating specimens. What you’ll mostly be contending with is the game’s standard of puzzles, and…oh boy. Typically in a game, you’ll be shown a puzzle and some hint about it will be in the same room or at least the general area. 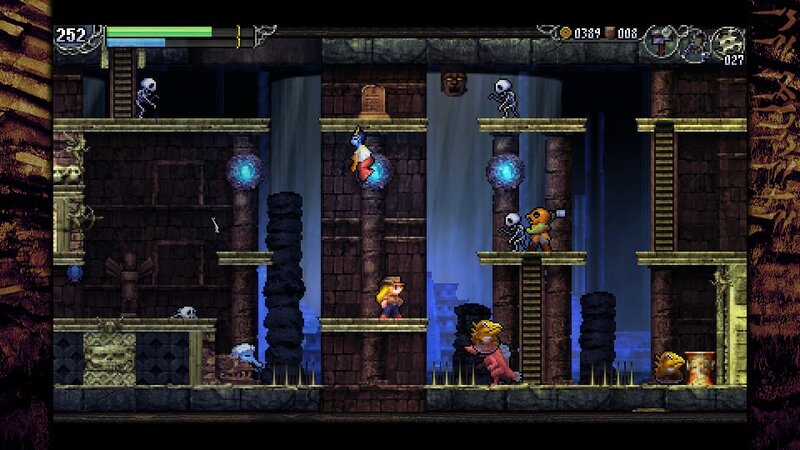 La Mulana doesn’t play like that. Some puzzles will have hints starting off, or if they’re for smaller stuff. But for the really big, area-spanning puzzles there can be tablets with hints for them anywhere, even off in some distant corner of the world. If you have all the information available for easy access, most puzzles aren’t too bad, but not doing that is where people trip up. You can save tablets and even dialogue to check later, but the best option would be jotting everything down that looks important or taking advantage of Steam’s screenshot feature. The gameplay proper isn’t much easier either. 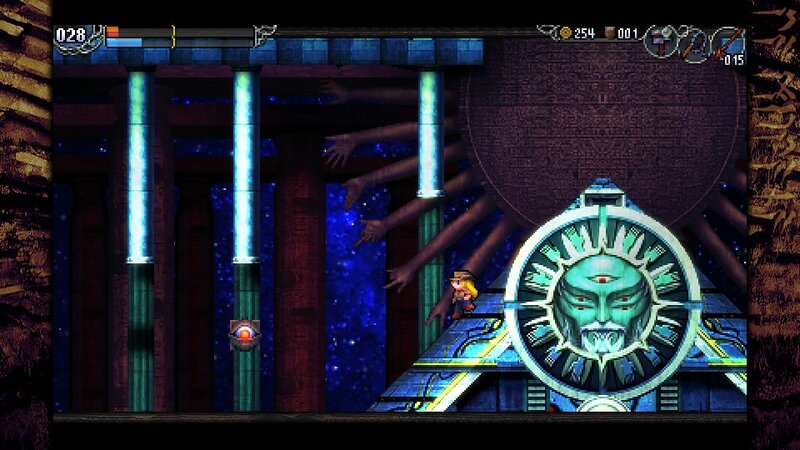 Your controls haven’t changed much from the first La Mulana, which seemed inspired by the older Castlevania games. This means that any hit you take knocks you back a bit, whether you’re mid-air or not, and that can end up making you fall down a tall room or onto some spikes. Walking off a ledge instead of jumping first also means you fall down with no control, which you need to keep in mind pretty much everywhere. Lumisa, this game’s protagonist, is a bit easier to control than the last, but not by too much. I frankly wouldn’t recommend playing it if you didn’t get far in the first game, as the developers seem to assume anyone playing this one at least reached the endgame, both in the puzzles it offers and the way it continues its plot from the first game. The La Mulana story is actually fairly interesting, featuring mythologies of various countries and characters from them, so it’s worth seeing as blind as possible. 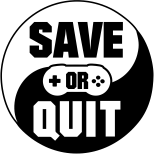 Unfortunately, that means if you didn’t much care for the first game, this one is unlikely going to change your mind. So then, should you buy this one if you were fond of the first? Absolutely, as it definitely lives up to the atmosphere and the challenges the original offered. Having played both a few things are different, however. The level design feels a bit more fond of instant death traps – which are usually things that crush you – even including a specific item you need to bypass some. Also, moving platformers can crush you if you’re not careful around them, and it can get a bit grating. Parts where just walking off a ledge leads to you falling onto spikes also feels like a common situation, although that could be through rose-colored glasses on my part. Another thing the first game definitely didn’t do is enemy scaling. Essentially the further you get in the game and the more items you collect, the more extra enemies are added to every area. But most regular enemies in La Mulana aren’t too big a threat even the first time you encounter them, and by the time these flags are tripped you’re loaded out in enough upgrades that adding more just makes backtracking a bit more tedious. One room I can think of ends up having so many enemies in it it’s difficult to go through without getting knocked back out of the room, or onto spikes for way more damage than they can deal. It doesn’t really add anything to the game and I wouldn’t be surprised if it’s modded out eventually. Overall I enjoyed a lot of La Mulana 2, maybe more than the first game. I’m not sure if it was because I was more used to the kinds of puzzles and tricks it employs, or because I had to play it largely blind this time, but I figured out a lot more, even though some puzzles still got the better of me. I’d say it’s a worthy sequel and worth picking up for anyone that liked the first game. It’s a solid Save.